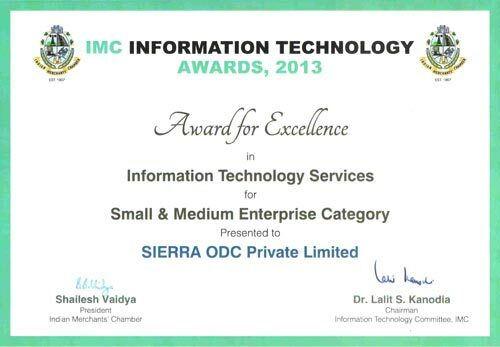 "The Best SME IT Services Company"
SIERRA is humbled and gratified to receive the 2013 IMC Award as the "Best SME IT Services" company. This award recognizes SIERRA's success in the development and commercialization of its flagship product eFACiLiTY® – Facility Management Software. The Indian Merchants' Chamber (IMC) is a 106-year old premier Chamber of trade, commerce and industry in India. It has over 3000 members and the distinction of having Mahatma Gandhi, Father of the Nation, as it's Honorary Member, the only Chamber in the country to have this rare privilege. It has in place 140 Memorandums of Understanding with leading chambers of commerce in over 50 countries. Some of the IMC Awards have become national standards and others gaining popularity. With rigorous judging, evaluation and voting process, an IMC Award win is a prestigious honor as each award winner is first reviewed by a jury of eminent software industry professionals, whose evaluations determine the finalists. SIERRA was one of the many companies to participate in the 'IMC IT Awards for both IT Companies and the User Community.' 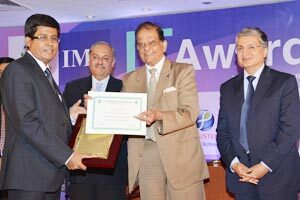 The IMC IT Awards Function was held on January 30, 2014 at IMC Building, Mumbai. Our CEO & Managing Director, Mr. Giridhar JG was bestowed with the prestigious honor of receiving the Best SME IT Services Company 2013 Award on behalf of SIERRA adjudged by Mr. FC Kholi, Founder & First CEO of TCS. The award was presented by Chairman Aplabs & Former Chairman of Electronic Commission Mr. P.S. Deodhar. The IMC rewarded both Companies and End Users of IT with awards under 5 categories for technological solutions, applications and improvements that have transformed business. More information on the winners list of the 2013's IMC IT Awards @ http://imc-itawards.in/. We sincerely thank the eminent jury and the Indian Merchant Chamber for this honorable award. 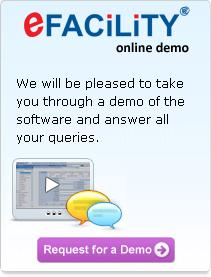 We also thank our clients and partners for supporting us in our progress all these years. 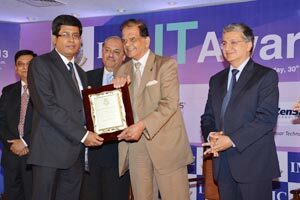 NDTV Profit telecasted the "IMC's IT Awards" ceremony in a special episode.